2019 LINE Coming This Summer! 2018 LINE ==> Right HERE! Clothing, Fabric, Textile Ideas ==> Check them out HERE! all of the images I have uncovered. Free. Please choose why you came. 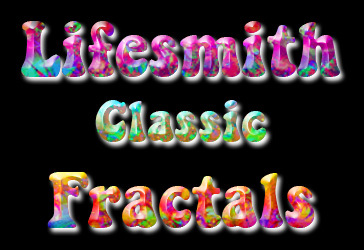 Copyright ©1997-2019 Lifesmith Classic Fractals, Sherman Oaks, CA USA All rights reserved.